Orochi Shermie is a variation of Shermie, one of the characters introduced in The King Of Fighters’97 as well as in King of Fighters Kyo. She returned only in the “Dreammatch” KOF’s games after the New Faces / Orochi Team and Orochi himself were defeated in the game. These are The King of Fighters’98 , 2002 and Neowave as well as the remakes of 98 and 2002. 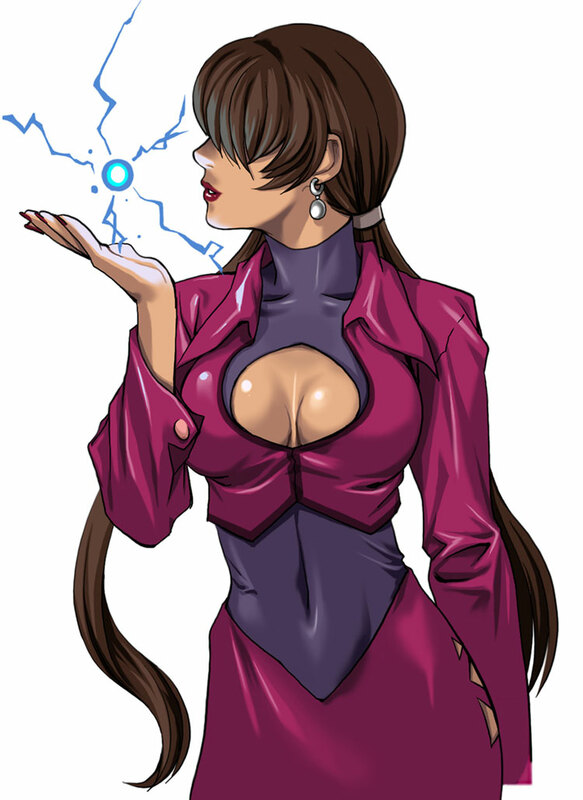 Later she returned as a boss character in KOF Sky Stage and the PSP Upgrade Neo Geo Heroes Ultimate Shooting. Orochi Shermie is able to use electricity as base for the most of her specials, the normal moveset stays the same apart from lightning effects and a different stance as well as a few different reactions to other characters.